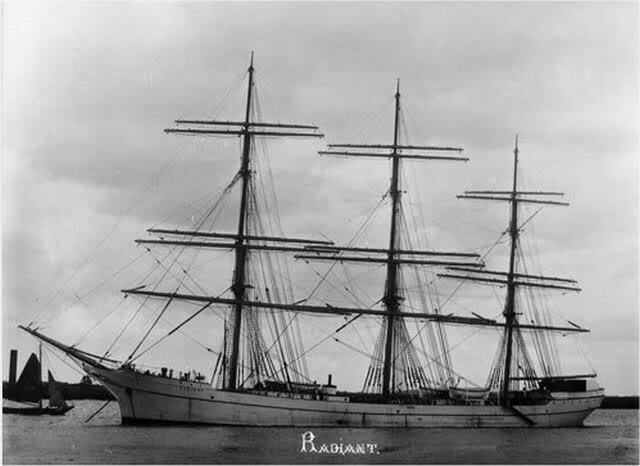 Sailing vessel "Radiant", built in 1903, used to ship kerosene to the Far East. 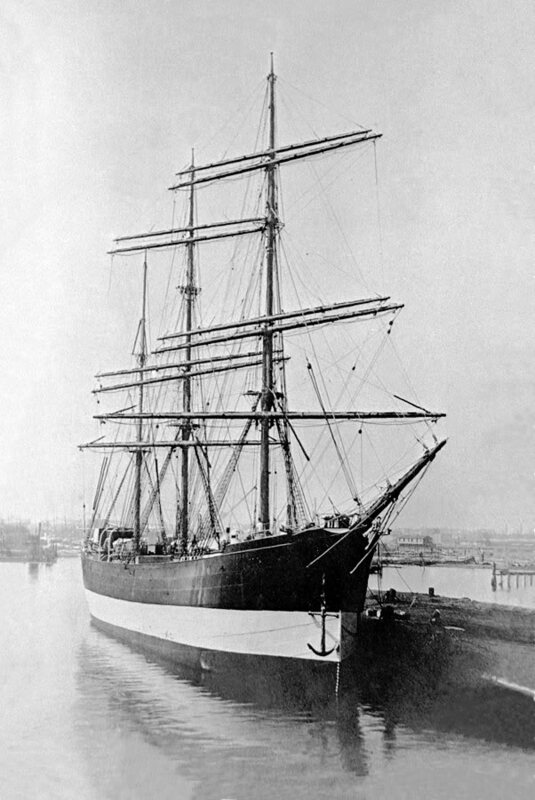 Sold on 1912 as "Perim", scrapped in 1924. 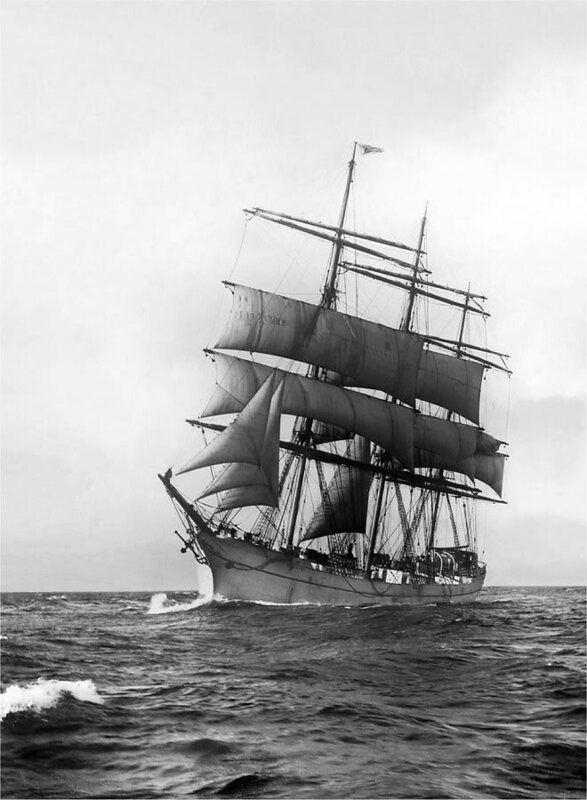 "Radiant", seen here as "Perim". The Miramar Ship Index for "RADIANT"
Scrapped at 3 quarter 1924.